Ryan Parker is well known, of course, as the pianist who presides over The Press Room Trio and who hosts Sunday Night Jazz at the fabled venue. 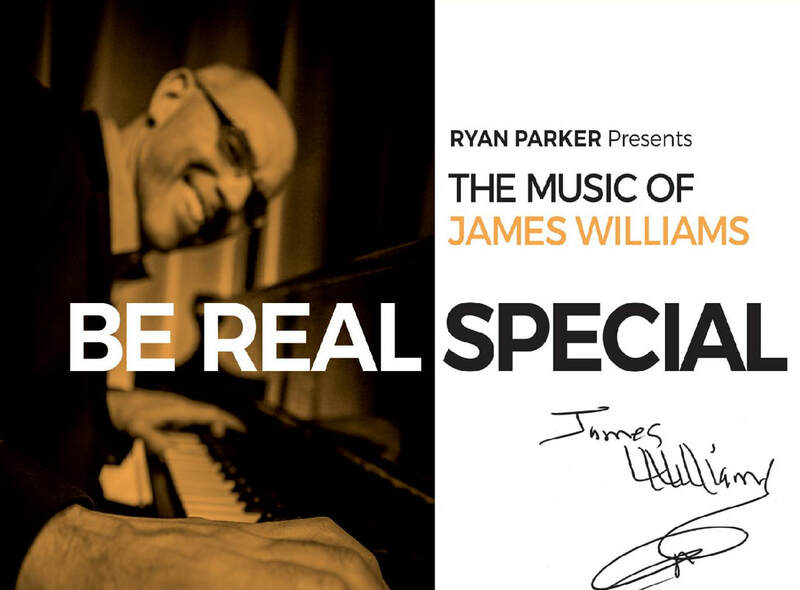 He is also a huge and longtime fan of the music of the late pianist and composer James Williams. This recently released album by Ryan is a document of his deep respect for Williams. Williams was a prolific composer, born and raised in Memphis, Tennessee, where he began piano lessons at 13 and was organist at the Eastern Star Baptist Church for six years. After earning a Bachelor’s Degree in Music Education at Memphis State University, he moved to Boston to accept a faculty position at Berklee College of Music. Mr. Williams recorded his first album as a leader in 1977, the same year he met the legendary drummer Art Blakey, an encounter that led to a four-year tenure with Blakey’s Jazz Messengers, during which time he played on 10 recorded albums with the group. In addition to performing and recording with some of the most illustrious figures in jazz, James Williams was a prolific and inventive composer. He also performed with some frequency at the University of New Hampshire, where a young Ryan Parker experienced the artist up close. For Be Real Special, Parker assembled a stellar group of musicians: Dave Pietro, alto saxophone; Tucker Antell, tenor saxophone; Trent Austin, trumpet; Gina Trombetta, trombone; Keala Kaumeheiwa, bass; Les Harris, Jr., drums. Ryan plays piano, of course. As any ear can tell, this is a labor of love.